Well, here we go again…making snacks too pretty to eat! 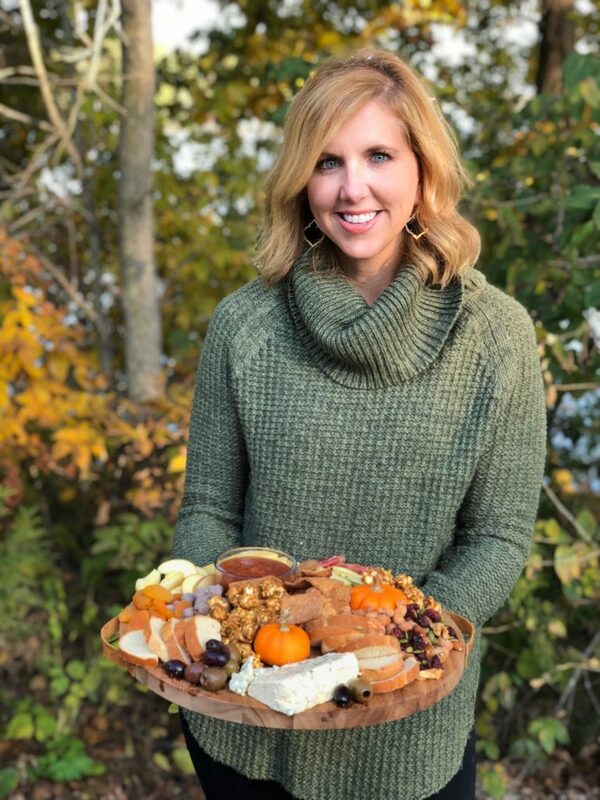 If you are stressing about what to bring to your thanksgiving get together, this festive fall charcuterie will do the trick. 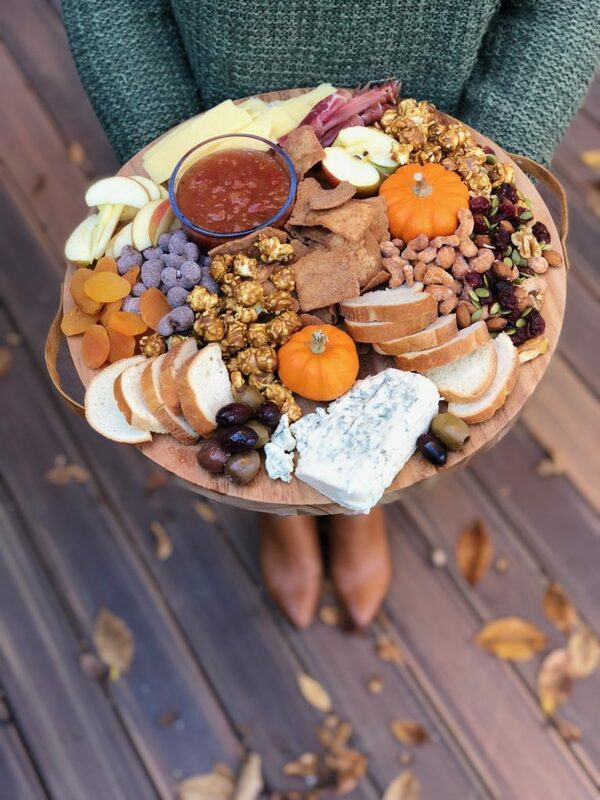 Beautiful, but also delicious, this board will complement any thanksgiving menu! Most of the items on this board can be found in the produce and deli section of your local market. Always browse the specialty cheese counter and ask for recommendations from deli staff. They may have a new seasonal cheese that will add interest to your board. 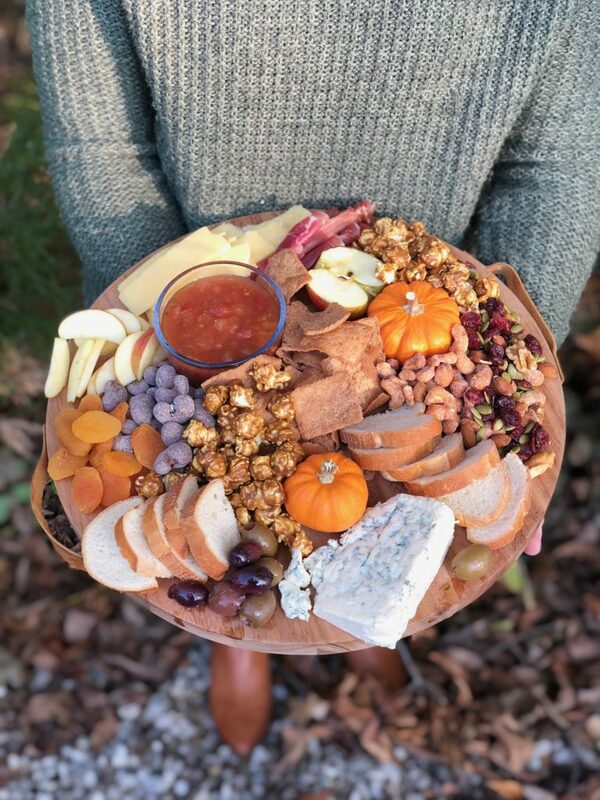 A few extra special touches to this board (hello honey crisp!) were found on a recent trip to the orchard. Choose something for your board that is a bit unexpected…like this apple salsa and cinnamon sugar pita chips. So delicious and a great way to add variety. It was the first part of the platter to be polished off. 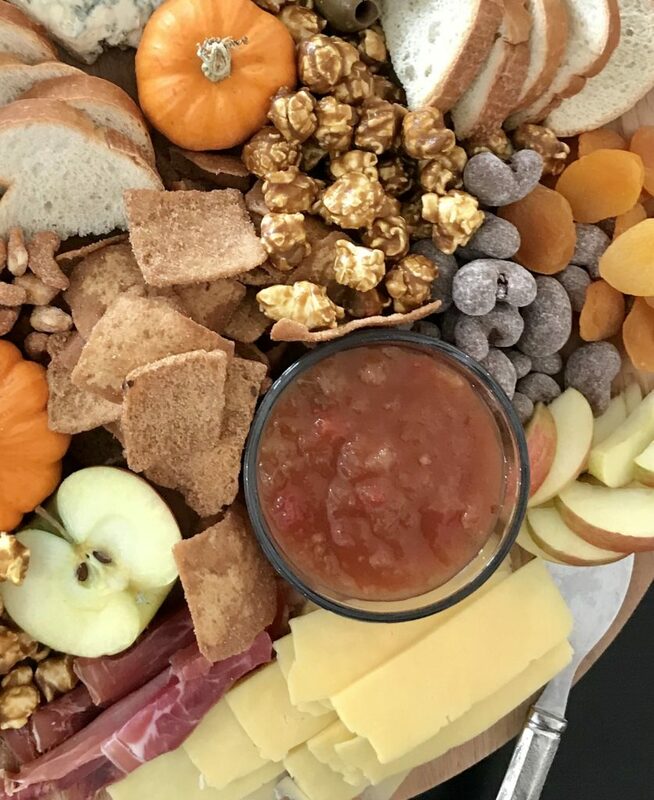 This board was rounded out with Kerrygold white cheddar, prosciutto, caramel corn, and candied nuts. A little something for all tastebuds! Simple and classic…no cooking required! 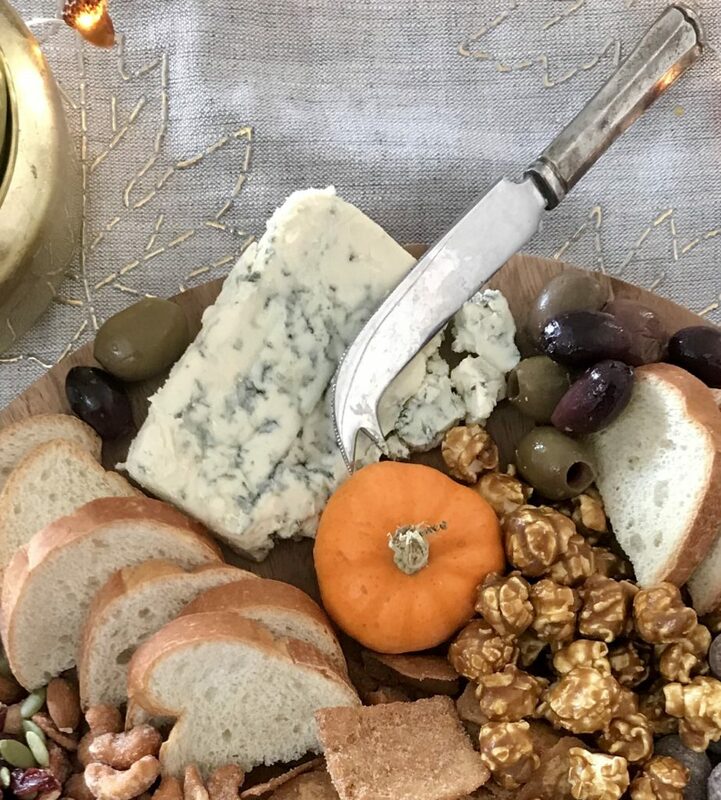 Pull together all of your favorites and have a beautiful Thanksgiving!